This project was funded on 30 Aug 2018! In addition to high quality performance of 11 plays over two Sundays in September 2018 at 4 outdoor locations across the city of York, we want to make use of the newly created Shambles Market to bring an evening, lit performance to attract a wider, younger audience. 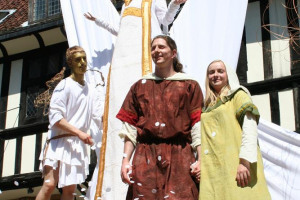 The mystery plays tell the Bible story, from creation to the last judgement and although religious in origin are hugely resonant for today's society dealing in universal themes and issues. 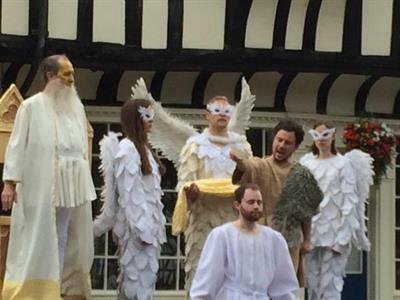 The Shambles Market will host an intimate selection from the Mystery Plays; from the first murder to the last judgement, this promenade performance shines a light on the darker side of York's medieval plays. 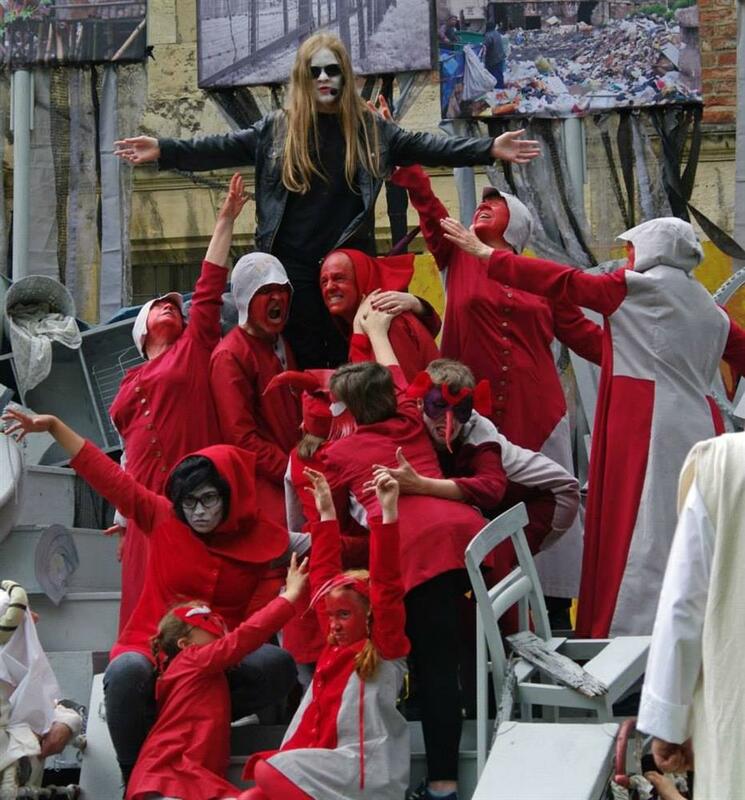 The 2018 performances consolidate the involvement of the modern guilds as custodians of the plays, working with other community groups to extend the reach of the production. 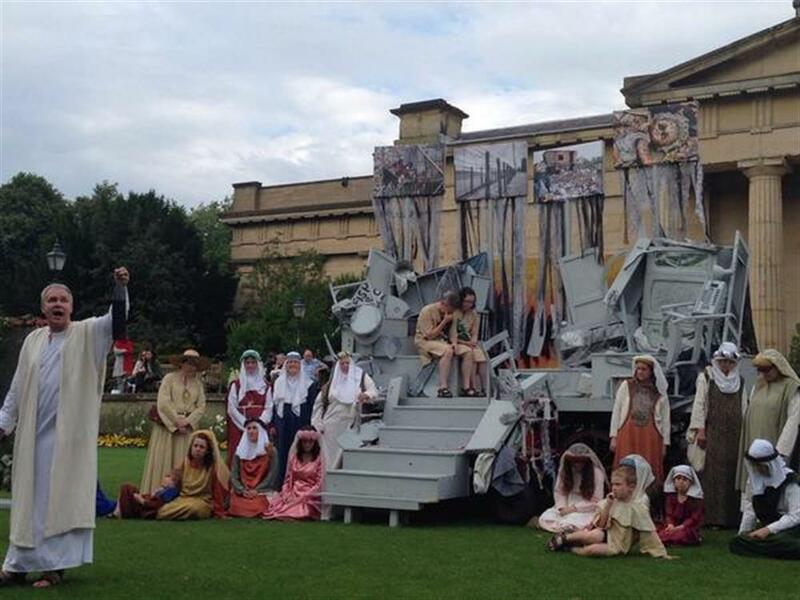 The Mysteries are a vital part of York's heritage, but they're not a museum piece, and they demand to be performed. 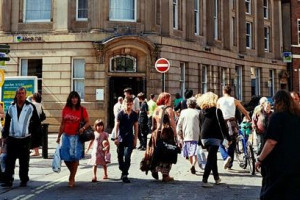 We've got a huge range of people involved- butchers, builders, schoolkids, students, even a whole company of accountants. They've found something in the plays that they connect to- a push for freedom, the temptation of glory or worldly wealth, or even just the chance to dance and sing. We hope the audiences will respond just as heartily to their enthusiasm and talent, but to get there we need a last bit of funding. It'll go towards stewards and signage, on props and costumes, on public lectures and workshops, and ensuring that each play is the best it can be. And for those further afield, it's the chance to be a vital part of the production, helping to create another historic year for the York Mysteries. Thanks to all our pledgers, and in particular Rushbond PLC, who yesterday helped us roll over the finish line and complete our funding. Your pledge will be redeemed within the next couple of days. For those who pledged £25 or more, we have offered 1 ticket to our Shambles Market production on 12th September. 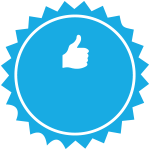 As soon as all pledges are collected, we'll contact you directly to arrange delivery. We hope you enjoy the Plays. It’s worth a reminder - unless we actually hit our target, your pledge won’t be taken, so as you care enough about the project to have made a pledge, please do share with your own networks and encourage to pledge. To publicise our campaign we’ve covered in The York Press, the front page of Yorkshire Post, Minster FM and BBC TV. The latter brought in a call from a potential sponsor who we are meeting tomorrow. Fingers crossed! With just over a month to run, we’ve crossed the half way point. Thanks to all who have pledged, please encourage friends and family to support this project too and spread the word.. We also had an offer from one supporter that if we hit our target they’ve will match with a further £5000! All the more to share this so than we can make the entire production one to remember for casts, crews, locals and visitors. 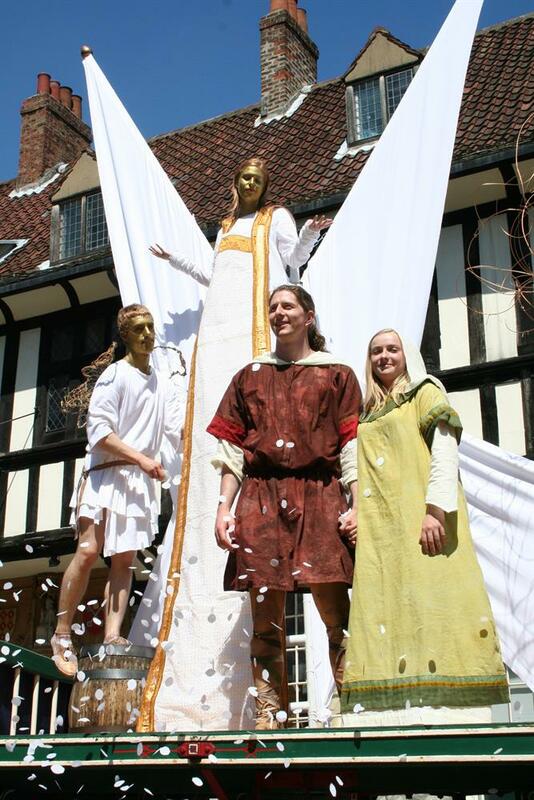 Since 1998 we have produced quadrennial festivals of York's Mystery Plays. 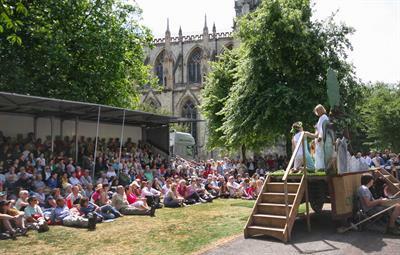 The Guilds of York were responsible for the original medieval productions and drawing on this heritage, the modern day Guilds have a created a new tradition of wagon plays for the community giving opportunity to hundreds of local people to engage with history in these productions, which have met with popular, critical and academic acclaim. Learning lessons from our 2014 production we seek to increase the overall quality of the event in key areas of creativity, interpretation, civic and volunteer engagement, and management. Our Board consists of people with knowledge of the plays, experience theatre and financial expertise. Over the past 20 years, our experience has led us to create a flexible and sustainable production model. 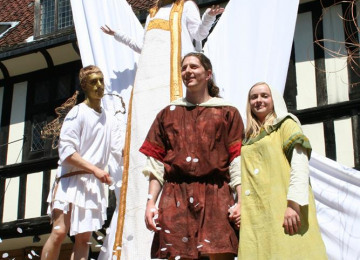 We have arranged conferences, bringing together academics and practitioners and some work has been published -'The York Mystery Plays - Peformance in the City". In 2012 we founded a National Network of UK towns and cities who perform medieval drama. 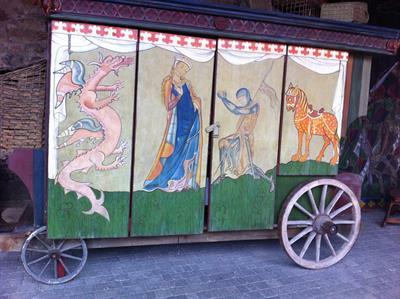 We took a wagon play to a festival in Italy.This created new challenges of language and interpretation from which we learnt. 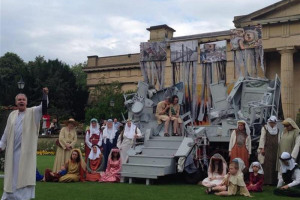 UK audiences benefitted in 2014 when Italian actors performed in York. 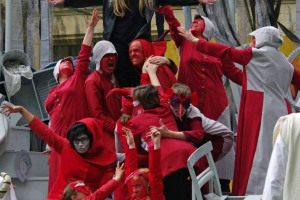 In 2012 we became Founder Members of a European network looking at reinventions of medieval drama in modern communities and localities. 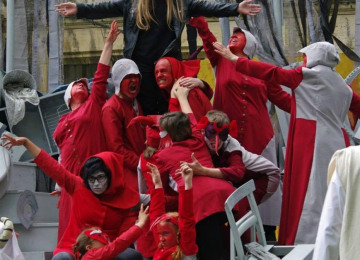 In intervening years, The Trust supports other cultural events in the City such as York Culture Awards. Project Delivery Manager: York Mystery Plays The Project Delivery Manager takes legal responsibility for receiving and spending the funds raised and ensuring the project is delivered. Contractor: Eboracum Security The team responsible for building or installing the project.